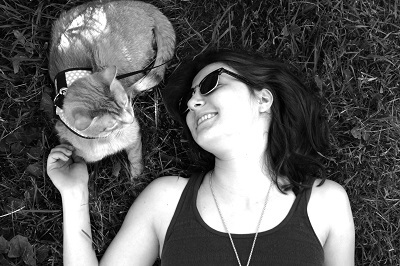 Cats with sensitive stomachs are frequently misunderstood. Cats who vomit multiple times a week are called “just a puker”. Cats who can’t tolerate new foods are brushed off by citing a myth perpetuated by the pet food industry – the myth that cats should eat one food for the entirety of their life. If you’ve reached this article, you probably sense that your cat’s digestive issues are anything but ideal. Digestive disorders can get worse over time, eventually leading to malabsorption of nutrients and problems in other parts of the body. This article will guide you through the common causes of sensitive stomachs in cats, the qualities of the best food for sensitive stomachs, and the top 5 best sensitive stomach cat foods on the market today. A sensitive stomach is not a diagnosis in itself. 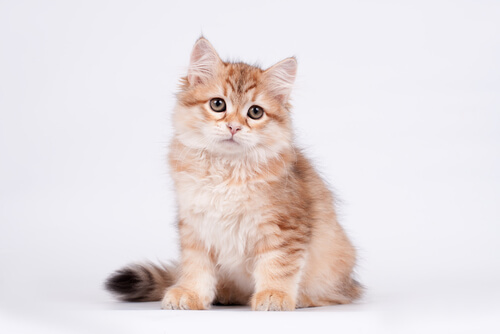 Let’s take a look at a handful of the most common causes of sensitive stomachs in cats. This is any condition involving acute inflammation of the GI tract. It could be caused by parasites, poisoning, eating something spoiled, or another disease. Acute gastroenteritis is typically short-lived. In addition to skin irritation and poor coat health, food allergies can manifest in constipation, vomiting and diarrhea. Cats can develop allergies to the foods they like the most. Feed your cat a beef food for five years and you might find that they’re suddenly having an allergic reaction to beef. It’s a good idea to give your cat a rotational diet – constantly introducing new and varied protein sources. If you suspect that your cat has an allergic sensitivity to a certain food ingredient, it’s time to put the theory to the test with an elimination diet. Switch to a limited ingredient diet – that’s one with very few ingredients and, usually, a single novel protein. For at least a month, feed your cat this food exclusively. If symptoms subside, confirm the difference by reintroducing potential allergens one at a time. Once you’ve identified the ingredients that your cat is allergic to, permanently eliminate them from your cat’s diet. Click here for a list of the best hypoallergenic cat food. Although the pathology of inflammatory bowel disease is poorly understood, we can generally describe it as chronic inflammation of the gastrointestinal tract. It’s a diagnosis of elimination; in other words, you arrive at the IBD diagnosis by ruling out any other issues, such as allergies. This condition leads to structural changes in the mucosal lining of the gastrointestinal tract. Over time, it can lead to digestive dysfunction and changes your cat’s ability to digest nutrients. It can also lead to a leaky gut, allowing food particles, toxins, and bacteria to leach into the bloodstream. If your cat is suffering from chronic digestive problems, consult your veterinarian. They can perform tests to determine whether or not your cat has IBD. Following an IBD diagnosis, your veterinarian may prescribe medications or dietary changes to suit your cat. Click here for a list of the best IBD cat food. What’s the best food for cats with a sensitive stomach? Switch to a bland diet. If your cat has acute gastroenteritis, start with a 12 hour fast to allow their GI tract to rest, then introduce a bland diet. Think of it like the BRAT diet for humans recovering from a stomach illness. Like the BRAT diet, a bland diet is non-irritating and provides enough nourishment for a few days, but you shouldn’t feed it for any longer than necessary. This type of diet comes in various forms. Some like pumpkin puree and boiled chicken. Some recommend boiled chicken and rice. I prefer to keep it simple and carnivore-appropriate. Try cooked chicken thighs with fat and skin attached. After cooking, remove the bones – cooked bones may shatter and hurt your cat. This cooked chicken is ideally served with bone broth, which is very nutrient-dense, gentle, and palatable. Don’t feed this diet for more than a few days. Your cat needs complete and balanced nutrition, so switch to a nutritionally complete food as soon as possible. Eliminate inflammatory or irritating ingredients. This often means choosing a food made with novel proteins – meats that your cat hasn’t been exposed to before. For example, if your cat always eats a chicken-based food, opt for one made with rabbit meat instead. Other potentially irritating ingredients include carrageenan and dairy. And while you’re ridding your cat’s diet of inflammatory ingredients, don’t forget to incorporate anti-inflammatory ones. Omega-3 fatty acids from fish or krill oil are powerful and species-appropriate anti-inflammatories. Choose foods featuring highly-digestible ingredients. Plant protein, for example, is considerably less digestible than animal protein. Animal by-products, similarly, may have lower digestibility scores than properly proportioned muscle meat, organs, and bones. Fat follows the same logic. Animal fat is more digestible than plant fat. The guaranteed analysis on the label only lists crude fat and crude protein, so you’ll need to probe deeper to find the digestibility values of these macronutrients. You can guess by looking at the ingredient list or you can contact the company for exact digestibility values. Promote healthy gut flora by providing probiotics. 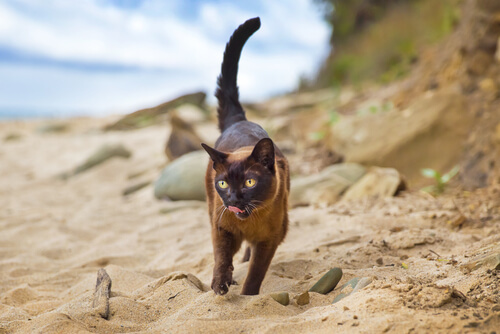 Supporting a healthy gut microbiome is a cornerstone of ensuring that your cat’s digestive system stays in top shape. Dysbiosis, or imbalanced bacteria population, is associated with poor digestive health and IBD. Particularly if your cat has undergone antibiotic therapy – which kills both good and bad bacteria – it’s likely that dysbiosis plays a role in your cat’s tummy troubles. There’s a growing body of evidence suggesting a connection between antibiotic treatment and subsequent inflammatory bowel disease in humans. One of the simplest ways to promote healthy gut flora is adding a probiotic supplement to your cat’s meals. You can also consider the inclusion of prebiotics, which promote the growth and activity of beneficial gut bacteria. Get 20% off your first order, which includes samples of all the recipes. If you’re interested in learning more about NomNomNow cat food, and to order, click here to visit the NomNomNow site. While it’s unclear whether or not digestive enzymes naturally found in raw meat have any positive health effects, the body of anecdotal evidence pointing to a correlation between a raw diet and improved digestive health makes it worth a try. 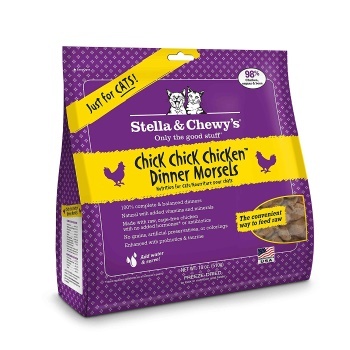 Because it’s made from rabbit, which is usually a novel protein, this formula from Stella and Chewy’s is perfect for cats with food allergies. The food is supplemented with probiotics to encourage digestive and immune health. It’s freeze-dried, so you don’t have to worry about it spoiling on the shelf. 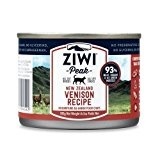 This food is a limited ingredient diet centering around a novel protein, so it’s perfect for allergic cats and those with food sensitivities. The recipe is 93% fresh meat, organs, and bones, making it highly digestible. 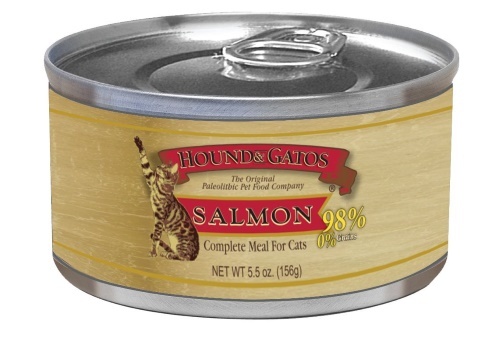 According to Hound & Gatos founder Will Post, the brand is most popular among cats with IBD. All Hound & Gatos formulas are extraordinarily simple, minimizing your cat’s exposure to potential irritants. Turkey isn’t one of the most common cat food allergens and is a nourishing and highly digestible source of protein for your cat. 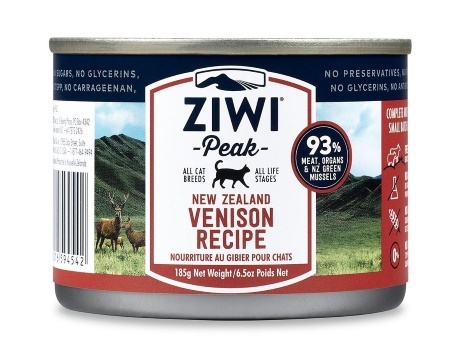 With just one protein source and no grains or other ingredients that could aggravate your sensitive cat, this food is a great choice for ultra-sensitive tummies. 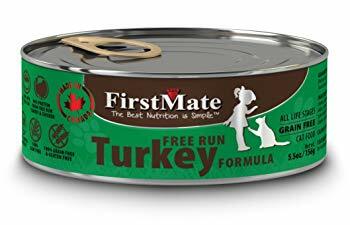 If your cat has no sensitivities to duck or turkey, this canned formula may be a good choice. It’s high in animal protein. 95% of the entire recipe is duck and turkey liver. This means that it’s highly digestible and nourishing. This limited ingredient recipe is made with turkey, which is a great alternative for cats accustomed to the poultry flavor of chicken. 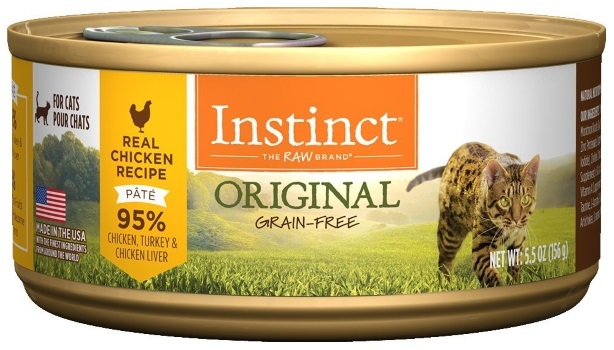 The food’s protein content is 96% animal-derived, making it a digestible choice for your cat. The only troubling quality of this food is the inclusion of potato, which is high in carbohydrates and minimally nutritious for your cat. If you can’t find the right food for your cat, consider preparing your own at home. Preparing your cat’s food at home allows you to introduce novel proteins and create a rotating diet. It’s the best way to control what goes into your cat’s body and it makes it easy to track the relationship between dietary changes and symptom changes. Both cooked and raw homemade diets are perfect for cats with sensitive stomachs.